^ Nazario, Uriah (2012-05-18). 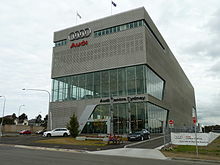 "The History of Audi Auto Group". GearHeads. Retrieved 20 March 2015. 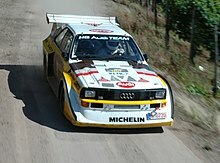 ^ History, Audi (2010). The Audi Story. 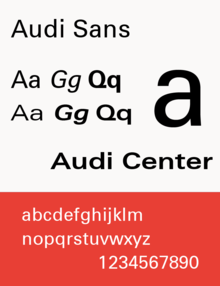 Audi AG. Archived from the original on 2010-07-06. ^ "Germany investigates VW's ex-boss over fraud allegations". Reuters. 2015-09-28. Retrieved 2015-09-28. ^ Rosemain, Elisabeth Behrmann Mathieu. "Audi Says 2.1 Million Cars Affected by Emissions Software". Bloomberg.com. Retrieved 2015-09-29. ^ "Report: Germany Investigating Audi over Emissions". 2015-09-29. ^ "Volkswagen, Audi sales increase despite emissions cheating scandal". latimes.com. Retrieved 2015-10-03. 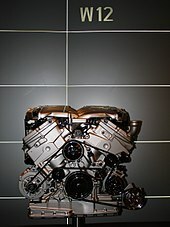 ^ "Audi boss arrested over diesel scandal". BBC News. 2018-06-18. ^ "EPA: VW cheated on Audi, Porsche diesel SUVs, too". USA TODAY. Retrieved 2015-11-02. ^ Rauwald, Jeff Plungis Dana Hull Christoph Rauwald. "Porsche Targeted as U.S. Expands VW Emissions Cheating Probe". Bloomberg.com. Retrieved 2015-11-02. ^ "Audi AG expresses intent to assemble vehicles in Pakistan - The Express Tribune". The Express Tribune. 2016-11-15. Retrieved 2016-11-15. ^ McAleer, Michael (2017-07-11). "Audi's self-driving A8: drivers can watch YouTube or check emails at 60km/h". The Irish Times. Retrieved 2017-07-11. ^ Ross, Philip E. (2017-07-11). "The Audi A8: the World's First Production Car to Achieve Level 3 Autonomy". IEEE Spectrum: Technology, Engineering, and Science News. Retrieved 2017-07-14. ^ "Audi lager diesel av CO2 og vann til 8 kroner literen". 2015-04-28. ^ "Audi to invest 14 billion euros in e-mobility, self-driving cars". Reuters. 2018-12-04. Retrieved 2018-12-04. ^ Harris, Paul (May 25, 1999). Audi: Sutton's Photographic History of Transport. Sutton Publishing. p. 84. ISBN 978-0750919258. ^ Dumitrache, Alina (2009-08-27). "Audi Reveals Updated Logo". 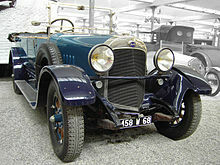 autoevolution.com. Retrieved 27 August 2009. 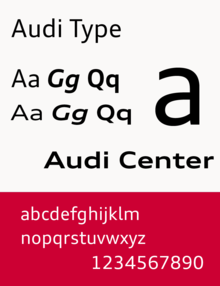 ^ "Benchmark case: new AUDI Sound Branding". Sound Branding Blog. 2010-05-07. Retrieved 14 July 2015. ^ "Audi's 'Truth in Engineering' ads come back to bite amid probe". Retrieved 2015-10-03. ^ Webb, Alex. "Audi Airs Mistimed 'Truth in Engineering' Ads". Bloomberg.com. Retrieved 2015-10-03. ^ Tassi, Paul (September 27, 2014). "Sony Finally Shutting Down PlayStation Home On PS3". Forbes. Retrieved September 20, 2018.